AnVir Task Manager removes Trojans, increases performance and tweaks Windows. AnVir Task Manager 8.1.2 was available as a giveaway on May 20, 2016! AnVir Task Manager controls everything running on computer, removes Trojans, increases performance and tweaks Windows. Special offer for giveawayoftheday users. Upgrade to full featured Pro version with discount! How would you improve AnVir Task Manager 8.1.2? Not delete Windows Task Manager, use either. Make it so that the toolbar icons are clearer. All the features of AnVir Task Manager with the additional benefits of advanced information about the processes: threads, open files, handles. Permanently block processes. Save changed priority of processes. Freeware edition of AnVir Task Manager. Installed fine on Win8.1 once I temporarily disabled AVG. That's just started happening recently and I assume it's due to an AVG update because for years, I've not had to do that step. Best registration ever! I had the readme file open and ready to grab the key but the registration window popped up with the name and key fields already filled in waiting for my approval. You can't beat one click. I've used the past GOTD versions and the free version for years. They're all better than Win task manager, except in one case -- I have a process that sometimes locks up the mouse and I can't get AnVir open. For that reason, I don't choose the option to replace Task Manager. Instead, I'm able to run AnVir all the time, yet ctrl-alt-del to launch task manager when I need it. But I never run windows without AnVir. There may be other software that provides a similar function, but this one is reliable and consistent without causing problems. My favorite feature is delayed startup. I use it to control the sequence of what loads in addition to really delaying a couple that don't let me get started working quickly. I also like the warning when changes are made to the system in the background. Installed fine on Win8.1 once I temporarily disabled AVG. That's just started happening recently and I assume it's due to an AVG update because for years, I've not had to do that step. Best registration ever! I had the readme file open and ready to grab the key but the registration window popped up with the name and key fields already filled in waiting for my approval. You can't beat one click. I've used the past GOTD versions and the free version for years. They're all better than Win task manager, except in one case -- I have a process that sometimes locks up the mouse and I can't get AnVir open. For that reason, I don't choose the option to replace Task Manager. Instead, I'm able to run AnVir all the time, yet ctrl-alt-del to launch task manager when I need it. But I never run windows without AnVir. There may be other software that provides a similar function, but this one is reliable and consistent without causing problems. My favorite feature is delayed startup. I use it to control the sequence of what loads in addition to really delaying a couple that don't let me get started working quickly. I also like the warning when changes are made to the system in the background. Thanks AnVir and GOTD! I purchased the pro version afer vigerously testing the Giveaway and was happy paying the extra money for the pro version. But unfortunatly upon recieving the licence after buying the software when i came to register it stated "Your registration expired! Please update licence key" it then takes you to a website to purchase a further licence. I've submitted a support request from within their support website, but then 5 minutes later it stated the matter was resolved and closed.. I jumped back on the support ticket and stated how can it be resolved when no comminucation has been made and the key still doesnt work. Hopefully no one else will have this issue, and my problem will be resolved in a timely manner. If it isnt resolved I will have to request a full refund or go through Paypal for a full re-embursment. I purchased the pro version afer vigerously testing the Giveaway and was happy paying the extra money for the pro version. But unfortunatly upon recieving the licence after buying the software when i came to register it stated "Your registration expired! Please update licence key" it then takes you to a website to purchase a further licence. I've submitted a support request from within their support website, but then 5 minutes later it stated the matter was resolved and closed.. I jumped back on the support ticket and stated how can it be resolved when no comminucation has been made and the key still doesnt work. Hopefully no one else will have this issue, and my problem will be resolved in a timely manner. If it isnt resolved I will have to request a full refund or go through Paypal for a full re-embursment. Anvir is a great program. But when I try to install it on a computer where I had the free version installed, it takes almost no time, says installation completed (not showing any files being installed or anything) and nothing has changed. Uninstalling Anvir free version first made no difference - no errors, but nothing actually installed. On another computer without Anvir, it installed without problems. Anyone run into this and found a solution? A.T.M., in its PRO guise, has a truly excellent (read 'flexible') Start Up Manager, which I have always thought was worth paying some money for, despite some glitches in the overall program. Q1. What discounts are available for EXISTiNG PRO LiCENSE owners? Why, because with today's offering there appears to be a 50% Discount for ONLY the FiRST YEAR of Ownership which includes Updates & Support. There seems to be, and NO DiSCOUNT for the EXTRA 3 YEARS of Updates and Support. Each time I try to install a giveawayofthe day I have the same problem. I get to the screen where it offers to add something to favorites and to install software informer. I don't want to do that but there doesn't seem to be any way to proceed. I close that and nothing happens. Except a webpage is opened that says thanks for registering. I've read that software informer is optional. What am I missing? I'm using Windows 8.1. Sorry, I just realized what it was. I turned off AVG antivirus and it worked. I have been using AnVir Task Manager Free for several years, It works well for me. I have tried the paid editions the last couple of time they were given away on GOTD, but the paid version always crashed my computer (? ), so I will not be installing this paid version today and will keep using the free version. For me it's a great program. I originally got introduced to AnVir via GOTD back with version 5.x, around 2008. Along with TaskInfo (from Iarsn.com, no longer updated but still pretty good), Glary Utilities, and MS SysInternals collection (Process Explorer/Monitor, Autoruns), it has been one of my favorite Windows maintenance utilities. However, both Anvir and Glary lost their registration somewhere along the way, so I'm very glad to see AnVir back and am very tempted to purchase a Pro license. Perhaps AnVir is the best all-around all-in-one utility as it combines features of what the others require separate apps to accomplish. I'm impressed with the additional details that have been added since those earlier versions -- lots of Windows environment tweaks; separate little floating monitoring windows for CPU, disk drives, memory, network traffic, and (briefly) open hardware; etc. Also, I have really missed the feature of recognizing and calling attention to newly-added software (which works since a last running of AnVir, even if shut down) along with the process/product descriptions, assigned risk assessments, and the ability to disable them; and the ability to categorize all sorts of startups (services, toolbars, background apps) and choose to easily disable or delay them during startup. Oddly, though, after closing that window for "Open Hardware Monitor", the tray icon disappeared and I can find nothing in the help files which references it, nor is it listed under Options for enabling/disabling. I'm not sure what I did to make it display in the first place -- I just noticed it after a while, an icon newly appeared in the system tray. When I clicked on it and the info window displayed, it appeared to contain useful info -- I wish I had studied it more closely while it was on screen. The EXE file for it (OpenHardwareMonitor.exe, 2014 by Michael Möller) is in a folder (theirs, I presume) under the AnVir program folder; yet AnVir itself lists the still-running process as a 34% security risk. Interesting... seems like a high ranking for their own program. Unfortunately, I could find no online help in their support "forum" pages since AnVir appears to have removed the user support forum altogether (today, anyway -- there was a reference to them in a Google page cache from February this year). That's too bad. But, all in all, a very nice program which I can confirm still works fine on XP. Since using it way back then to clean up and tweak my system(s) based on AnVir's useful product/process descriptions, they have been much more stable. This is a highly-recommended utility you should get for those times when you will need it. I originally got introduced to AnVir via GOTD back with version 5.x, around 2008. Along with TaskInfo (from Iarsn.com, no longer updated but still pretty good), Glary Utilities, and MS SysInternals collection (Process Explorer/Monitor, Autoruns), it has been one of my favorite Windows maintenance utilities. However, both Anvir and Glary lost their registration somewhere along the way, so I'm very glad to see AnVir back and am very tempted to purchase a Pro license. Perhaps AnVir is the best all-around all-in-one utility as it combines features of what the others require separate apps to accomplish. I'm impressed with the additional details that have been added since those earlier versions -- lots of Windows environment tweaks; separate little floating monitoring windows for CPU, disk drives, memory, network traffic, and (briefly) open hardware; etc. Also, I have really missed the feature of recognizing and calling attention to newly-added software (which works since a last running of AnVir, even if shut down) along with the process/product descriptions, assigned risk assessments, and the ability to disable them; and the ability to categorize all sorts of startups (services, toolbars, background apps) and choose to easily disable or delay them during startup. Oddly, though, after closing that window for "Open Hardware Monitor", the tray icon disappeared and I can find nothing in the help files which references it, nor is it listed under Options for enabling/disabling. I'm not sure what I did to make it display in the first place -- I just noticed it after a while, an icon newly appeared in the system tray. When I clicked on it and the info window displayed, it appeared to contain useful info -- I wish I had studied it more closely while it was on screen. The EXE file for it (OpenHardwareMonitor.exe, 2014 by Michael Möller) is in a folder (theirs, I presume) under the AnVir program folder; yet AnVir itself lists the still-running process as a 34% security risk. Interesting... seems like a high ranking for their own program. Unfortunately, I could find no online help in their support "forum" pages since AnVir appears to have removed the user support forum altogether (today, anyway -- there was a reference to them in a Google page cache from February this year). That's too bad. But, all in all, a very nice program which I can confirm still works fine on XP. Since using it way back then to clean up and tweak my system(s) based on AnVir's useful product/process descriptions, they have been much more stable. This is a highly-recommended utility you should get for those times when you will need it. OK, on another machine with a bigger screen I saw the top-row button for "Hardware Monitor" in plain sight. I went back to the original machine (a "netbook" with a small screen) and up-sized the AvTM window and, once big enough -- voila! -- the button for "Hardware Monitor" suddenly popped into view next to the "Resource Monitor" button. Also, upon reviewing my older 2008 installation I notice that less has changed in terms of major features than I originally thought. It's hard to improve upon a good thing! Mainly it seems to have been updated to work for more recent versions of Windows, while dropping the XP/Vista "Tweaker" (the related files which I saved from the installation of the earlier version, since it can be launched independently of AnVir itself). Thanks again, GOTD and AnVir! OK, on another machine with a bigger screen I saw the top-row button for "Hardware Monitor" in plain sight. I went back to the original machine (a "netbook" with a small screen) and up-sized the AvTM window and, once big enough -- voila! -- the button for "Hardware Monitor" suddenly popped into view next to the "Resource Monitor" button. Still, I have yet to find a reference to "Hardware Monitor" or "Resource Monitor" in the online help pages. It would be great if AnVir provided a "search" feature on their Documentation web pages, especially since the user forum links are not working (keeps redirecting to the AnVir home page). (BTW, clicking on "Resource Monitor" actually launches Windows own/built-in "Microsoft Management Console" on its System Monitor page.) Also, upon reviewing my older 2008 installation I notice that less has changed in terms of major features than I originally thought. It's hard to improve upon a good thing! Mainly it seems to have been updated to work for more recent versions of Windows, while dropping the XP/Vista "Tweaker" (the related files which I saved from the installation of the earlier version, since it can be launched independently of AnVir itself). Thanks again, GOTD and AnVir! may switch to Apple as this privilege thing and other problems with Windows over multiple computers drives my stress levels to the skies ! have had 20 crashes in a row when i go to run the install programme on windows 10 notebook tried to get the free version in frustation only to be defeated by the " a required privilege is not held by the client " an old enemy of mine that even tho i made sure the computer has only one user with all privileges may switch to Apple as this privilege thing and other problems with Windows over multiple computers drives my stress levels to the skies ! [ paraic.coughlan ], we'll look for your return from Apple if permission levels frustrate you. The real problem here is Anvir programmers failing to have a "Plan B" for success if their "Plan A" fails. Other programmers are equally naive. Remember when DOS programs just loaded into any chosen available directory and ran entirely from there, easy to migrate to any other computer on demand?
. [ paraic.coughlan ], we'll look for your return from Apple if permission levels frustrate you. The real problem here is Anvir programmers failing to have a "Plan B" for success if their "Plan A" fails. Other programmers are equally naive. Remember when DOS programs just loaded into any chosen available directory and ran entirely from there, easy to migrate to any other computer on demand? Ahhh ... . I've always been very impressed with AnVir task manager. I first got alerted to it several years ago, by Ashraf of all people (remember him?). I tried out an earlier version and found it very light on resources, yet extremely versatile and effective. I have used it ever since, in preference to other popular tools that perform the same suite of functions. My latest is version 7 point something, and I shall certainly try out this new version without misgivings. "Installer integrity check has failed. Common causes include incomplrete download and damaged media Contact the installer's author to obtain a new copy. More information at http://nsis.sf.net/NSIS_Error". So what the problem ? <i> P.S: searched on the author web site for the standard version to download but nothing ... this exist only on the comparison page </b> Thor, I figured they made the comparison page just for this GOTD but it's been there since 2008 (not sure if my link will work since GOTD started using that surly! ): http://web.archive.org/web/20081206065725/http://www.anvir.com/task-manager-windows-startup.htm? Thor, I ran into the same problem. Although after downloading I right click on the file and my whole PC started locking up, never could get it to work. I ended up restoring my PC from an Image backup. I am thinking my Antivirus was locking my PC down, either way, I couldn't even delete the SETUP file, I found that odd. Sound like an interesting program, but considering I can't install it or even select the OPTION to install it on Windows 10 64 bit or my system I wont be able to try it. I am thinking the file itself is corrupt, or that is coming from somewhere or a drive where it's been corrupted and when you download OR THAT IS I DOWNLOADED IT then it prevented me from executing it properly to install. I just upgraded my Anvir Task Manager a couple of days ago to version 8.12. I'm hoping this a a pro version or has more features. This the THE BEST APP to come around in a long time. You can disable startup entries, end or block processes, gives you tons of details about processes. You can work with Windows services which are given a more recognizable name. I've been using it for years and it's a must have. If anyone has any questions about it's use, feel free to post a comment. Well done Anvir and GOAD!! I just upgraded my Anvir Task Manager a couple of days ago to version 8.12. I'm hoping this a a pro version or has more features. This the THE BEST APP to come around in a long time. I swear by this app and use it everyday. It's great for installing programs because it lets you know what processes or services will be added to startup, You can disable startup entries, end or block processes, gives you tons of details about processes. You can work with Windows services which are given a more recognizable name. I've been using it for years and it's a must have. If anyone has any questions about it's use, feel free to post a comment. Well done Anvir and GOAD!! Jim, this is not the Pro version; however it has more features than the Free version. Check this out for comparison: http://www.anvir.com/task-manager-windows-startup.htm. -- AnVir monitors your system for new programs being installed into your system startup and alerts you, asking if you want to allow this. A nice feature to prevent those secret installs that new programs may try to make. AnVir also will allow you to easily disable programs from starting with the system startup. -- A nice, automatic memory purge feature, which will clean up and flush your system's memory periodically, freeing memory up. -- Visible system gauges that will sit in your system tray area, providing at-a-glance info. for features such as memory usage, CPU use, and network utilization. Having used this software for many years, a few features not readily apparent: -- AnVir monitors your system for new programs being installed into your system startup and alerts you, asking if you want to allow this. A nice feature to prevent those secret installs that new programs may try to make. AnVir also will allow you to easily disable programs from starting with the system startup. -- A nice, automatic memory purge feature, which will clean up and flush your system's memory periodically, freeing memory up. -- Visible system gauges that will sit in your system tray area, providing at-a-glance info. for features such as memory usage, CPU use, and network utilization. Very much recommended. For those amongst who use the well-known CCleaner and maybe Malwarebytes I see no need for today's offer. CCleaner has the function of disabling automatic start-up items included and for killing frozen tasks the Windows task manager does just as well. Also very much uptodate and though with more advanced functions the Advanced Uninstaller Pro takes some beating. Uninstall supervision is just one of the features of that particular application. Sigrid.DE, This sits in the tray and gives roll-over cpu usage and more, puts access to processes and services in window, shows startups and delayed startup, applications running, all the most useful stuff right in front of you to manipulate. Not like CCleaner at all if you take the time to check it out before you make dumb comparisons. No offense, but I think you are totally wrong. Sigrid.DE, No offense, but I think you are totally wrong. I see, WinXP is not listed, will it still work with WinXP (even if no tech support provided)? Millions still use XP, I am one of them. I see, WinXP is not listed, will it still work with WinXP (even if no tech support provided)? Millions still use XP, I am one of them. Thanks for your help. WinXP?, FWIW this is copied from their chart comparing features of Free, standard ?, and Pro.
" Windows "My Computer" (Windows 7 style icons on Windows XP)"
WinXP?, FWIW this is copied from their chart comparing features of Free, standard ?, and Pro. " Windows "My Computer" (Windows 7 style icons on Windows XP)"
I have been using Anvir Task Manager on my XP SP2 system ever since it was first offered here on GOTD. I have never had any problem with it. The update to the current version was smooth and it works fine. I hope this can help other XP users. WinXP?, Thank you for all of the positive votes but this was not the comment that I made. There is some kind of mix up and the comment made by BobbyA was repeated as my comment. My comment should have been some thing like this... I have been using Anvir Task Manager on my XP SP2 system ever since it was first offered here on GOTD. I have never had any problem with it. The update to the current version was smooth and it works fine. I hope this can help other XP users. For startup control, how is this different from Autoruns? Click the Startup tab, click on Scheduler and check all boxes along the top............especially Windows programs. There is no other program that I know of, that provides you with all these entries and the ability to set to Enabled or Disabled. Mind you, this section is for experienced users only. Also, click on the Services tab and check the Windows Services checkbox. Be careful in here as well. glnz, Click the Startup tab, click on Scheduler and check all boxes along the top............especially Windows programs. There is no other program that I know of, that provides you with all these entries and the ability to set to Enabled or Disabled. Mind you, this section is for experienced users only. Also, click on the Services tab and check the Windows Services checkbox. Be careful in here as well. This software looks very interesting and handy. Were I not already running something similar? (System Explorer), I'd definitely give Anvir Task Manager a try. And by the looks of the reviews on the internet, it's a keeper. It may be similar, but Anvir Task Manager has tons more options. Also, I have never had it crash on me and I've been using it (the free version), since it was first released. This is a "replacement for Task Manager" according to the descriptions. My questions: 1) does it actually replace task manager on my hard drive, i.e. does it delete the existing task manager? 2) can I restore my existing task manager if I find that I don't like this one? 3) if it doesn't totally replace the task manager, can I choose to run the Microsoft Task Manager or Avir at my whim? and 4) will it run on my old Windows XP machine? I hesitate to install any utility that claims to replace an existing function, I've seen too many of those that turn out to be a disappointment. Bebop, I'm using AnVir 6.7.0 - installed on march 2012, not intended to run on a Win 8.1 64bits but most times it's OK. When I started using it, was on a Win Vista laptop. When producer says it is a replacement of Task Manager, what he means is that this software does everything that task manager does and more, NOT that it overides the original task manager on your computer or that it is installed on top of it. Actually I don't recall of any software that does that. Many times I use both at the same time, so no problems with that. It is a GREAT software. One can choose any or all of several small icons that inform you , real time, what is going on with your machine, with a second level of more details if needed, before you need to actually open the application's window for full details. Use it NON STOP. Will upgrade for sure. Remember, the Task Manager window is only one of 5 modules included with the program. Bebop, To answer your questions.........No, it does not replace Windows Task Manager or delete it. In the options, by default, the replace Windows Task Manager is unchecked be default You can run both Anvir Task Manager and Windows Task Manager at the same time with no problems Remember, the Task Manager window is only one of 5 modules included with the program. An absolutely great program. Been regularly using an earlier version and find its op terrific and the information given a few light years ahead of the standard MSFT program. Do NOT miss this one, folks. An absolutely great program. Been regularly using an earlier version and find its op terrific and the information given a few light years ahead of the standard MSFT program. Do NOT miss this one, folks. AnVir Task Manager 6.2 was available as a giveaway on January 13, 2010! I installed it and activated it back then and when I just went and searched to see if I had anything by AnVir I found the registration had expired! There is no mention in that giveaways page that it was a license that should expire after 6 or 12 months but it did expire! I see no reason to assume this version will fare any better and seeing as I already have tools running on my system that track startups and look for known malicious tasks starting etc I don't feel the need to install this new version, in fact I am going to remove 6.20 seeing as it's reverted to trial version and is just taking up space. I've been using it since it was first released and upgraded to newer versions on GOTD. I never had a license issue. I suspect it may have been one of your "cleaning" programs that took the license out. TK, I've been using it since it was first released and upgraded to newer versions on GOTD. I never had a license issue. I suspect it may have been one of your "cleaning" programs that took the license out. TK, most of the time if you or the program does an update the program goes back to being a trial program. TK, were you still able to run the program? I could be wrong, but I think what expired with that version was the access to the database of details about processes and services, so you could easily identify what they were and if they were dangerous. I remember mine expired too, but I continued to run it minus the process info. In a way, that makes sense because that information changes, and you'd have to do an update to get it. Eventually I switched to the free version, which doesn't have the process info, so I could do updates. I installed this GOTD version today. Even if it eventually expires like the other one, I will still enjoy it up until then, and then I'll switch to free again. Velvet, the giveaway was for 6.2 and that is what was still there , No updates occoured. forensics guy, I do not use so called "cleaning" programs, as a ITC professional I know they are not to be trusted. I "clean" manually and never go near installed programs registry entries! your 20 day trial period is over. the enter code button reveals the original GAOTD registration information that of course will not activate now. Continue lets it run in trial mode. The online check through virustotals API fails it compains in cant access a certain but unamed program to perform the upload. other than that it seems functional just in trial mode. Personally I think windows defender that does use a frequently updated process definitions database and does allow us to perminatly block any give process, where the standard version of this does not allow this. Free Task Manager with Free Windows Defender with Free Cleanmem.exe on a schedule reclaim .NET garbage, and Free Sysinternals Process Explorer to suspend revive processes and see their DLL usage etc when needed more than handles what this is supposed to do IMHO. Dani, it reported: you first installed this program 2411 days ago your 20 day trial period is over. the enter code button reveals the original GAOTD registration information that of course will not activate now. Continue lets it run in trial mode. The online check through virustotals API fails it compains in cant access a certain but unamed program to perform the upload. other than that it seems functional just in trial mode. Personally I think windows defender that does use a frequently updated process definitions database and does allow us to perminatly block any give process, where the standard version of this does not allow this. Free Task Manager with Free Windows Defender with Free Cleanmem.exe on a schedule reclaim .NET garbage, and Free Sysinternals Process Explorer to suspend revive processes and see their DLL usage etc when needed more than handles what this is supposed to do IMHO. An absolute keeper... one of the best giveaways of any day. This software is all that CTL-ALT-DEL should have been in the first place. My special thanks to "Giveaway of the day" and to "AnVir Software". While it`s not an antivirus (don`t be mislead by its name), it is my favorite tool to deal with unreported malware threats. Note that it takes time before new threats are caught and reported by AV vendors. After more than 7 years of improvements an modifications still not ready, I suggest to change the subject. herkato, it might help if you tell us why you think this product is "still not ready." I have used it ever since it was given away here in 2008 and look forward to downloading/installing this version. As for changing "the subject" -- whatever do you mean by that??? I've been using Anvir Task Manager Free for a couple of months and love it. Thank you for this standard edition. I've used various versions of this software for several years and have found it to be a great replacement for Windows task manager, which is weak in comparison. Try it at least, you might like it, I do, thanks GOTD and AnVir. I'm expecting to get voted down today, every similar positive post seems to have been voted down today. I've used various versions of this software for several years and have found it to be a great replacement for Windows task manager, which is weak in comparison. Try it at least, you might like it, I do, thanks GOTD and AnVir. I'm expecting to get voted down today, every similar positive post seems to have been voted down today. You're not going to get voted down with this A+++++ program. After my like, you're up to 36 likes. NickH, You're not going to get voted down with this A+++++ program. After my like, you're up to 36 likes. NickH, Ha Ha.............I wasn't touting for + votes but thanks anyway for them. I'd seen that all similar posts on this software prior to mine had negative scores, someone had been very busy trolling here. I use the free Windows Sysinternals Process Explorer or Process Hacker to really get underneath the hood of what is going on in the engine room. System Explorer is also worth checking out. I'd be interested to know what AV engine that Anvir uses as they don't specialise in virus removal products per se. I use the free Windows Sysinternals Process Explorer or Process Hacker to really get underneath the hood of what is going on in the engine room. System Explorer is also worth checking out. I'd be interested to know what AV engine that Anvir uses as they don't specialise in virus removal products per se. "I'd be interested to know what AV engine that Anvir uses as they don't specialise in virus removal products per se." Their Documentation page is pretty good, showing screenshots, briefly describing the software's features, & it has a section on Security. Going by that, it's security features are limited, & do not include anything like a full fledged AV engine. It's not an anti-virus program per se, but identifies PUPS in red. Downloaded GOTD version, then to the AnVir Software website and did the same. Lo and behold,,, they are the same. Couldn't find many reviews on this 8.12 versions. Older versions had a so, so rating. The fact that this offering is at very least deceitful, I'll do a uninstall on both programs. Maybe next time. On a more positive note. I do want to thank GOTD, for all the work they do for us. Thanks! Downloaded GOTD version, then to the AnVir Software website and did the same. Lo and behold,,, they are the same. Couldn't find many reviews on this 8.12 versions. Older versions had a so, so rating. The fact that this offering is at very least deceitful, I'll do a uninstall on both programs. Maybe next time. On a more positive note. I do want to thank GOTD, for all the work they do for us. Thanks! Jim, The offering is the same as the standard version ($29.95). If you are saying the GOTD version is the same as the free version, the spreadsheet linked in the first comment shows you the differences. Jim, After looking a little longer, I WAS WRONG about this software. I like this and keeping it. I learned to keep my mouth shut before knowing all the facts. There is only a couple hours left for this giveaway. I felt I had to right my wrong. I apologizes to AnVir Task Manager, GOTD and the comment readers. I use this (the pro version) and it is great - I thoroughly recommend it. NW, Just Google the USD amount in your currency. If I have installed WINPATROL PLUS and PROCESS LASSO PRO do I need to install today’s giveaway too ? michael, I had used WinPatrol or WinPatrol Plus for years, but finally got rid of them. The constant pop ups were just too irritating. When the company changed ownership, I saw the difference in the performance of the program. Robert, and what do you use now instead of Winpatrol? If one is already using WinPatrol Plus, what would AnVir Task Manager 8.1.2 do that isn't already being done by WinPatrol Plus? michael, I've been using WinPatrol Plus for nearly a decade and have never been disappointed with its performance, even after its ownership changed hands. It appears to me that AnVir Task Manager 8.1.2 performs many (if not most) of the functions of WinPatrol Plus. The question I have is this: If one is already using WinPatrol Plus, what would AnVir Task Manager 8.1.2 do that isn't already being done by WinPatrol Plus? Thanks a million Quick Brown Fox, from your suggestions it means that it may be of no use to install AnVir Task Manager. 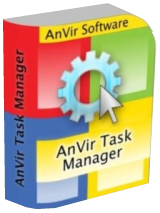 I have (own) last version of Anvir Task Manager (2012 Giveaway of the Day),my question is:Can I just install (update) this version over older one or I have to remove old and install new ? And,if it`s possible to install (update) over old one,will my settings stay as they are? John, that's the way I've done it over the years - and it kept everything. That's no promise that everything will work out the same with your installation, but chances are good. I just can speak from my own experience with my system and installation. Just make sure that you do not update a pro version (was given away here too once) with the standard editon as you will loose the pro features. Good luck! cannot understand that you are complaining about giving away the free version, just because you did not find the third version (standard) on their website at first sight. smurf, I just posted essentially the same comment as you did, just at the same time. What a bunch of whiners! If you go to the web site http://www.anvir.com/task-manager-windows-startup.htm , you will see a comparison of 3 versions of anvir: Free, Pro, and one without a suffix, just plain Anvir Task Manager. I think the no suffix version is the one being given away. If that is the case, it has more features than the Free version but less features than the Pro, and so there is no deception. I have been using the Free version for years, and I certainly recommend it. So please stop whining and give this a giveaway a try. If you go to the web site http://www.anvir.com/task-manager-windows-startup.htm , you will see a comparison of 3 versions of anvir: Free, Pro, and one without a suffix, just plain Anvir Task Manager. I think the no suffix version is the one being given away. If that is the case, it has more features than the Free version but less features than the Pro, and so there is no deception. I have been using the Free version for years, and I certainly recommend it. So please stop whining and give this a giveaway a try. Great program that in totality goes way over my moderately geeky head...while at the same time educates me a little higher every time I use it... Thanks GAOTD and Anvir. I have used this for years, freeware version is very worth it, you should try it. Thanks Anvir for the Update and discount offer. Love it!! I own a previous version (from another giveaway day). I must admit, I haven't used it much, but functionality side it was quite good.